NATO, in a wise move today, announced from Brussels that they would send between 500 to 1,000 soldiers, including medical, engineering and troops, to Pakistan to help the victims of the Kashmir region who have suffered the loss of over 51,000 of their neighbors. "NATO officials said up to 1,000 troops would go, led by engineers from Spain, Italy and Poland who will seek to clear roads blocked by the quake and subsequent mudslides so aid can reach stricken areas over land. In addition, NATO will set up a field hospital, a mobile field headquarters to help coordinate operations with the UN, and send three Lithuanian water purification units. NATO officials said the alliance would also fly four heavy-lift helicopters from Germany, which has already sent two big cargo choppers. Officials pointed out that individual allies have sent about 40 helicopters to Pakistan, with the United States taking a lead role. De Hoop Scheffer also announced NATO was speeding up the airlift to Pakistan with 12 flights by giant C-17 cargo planes provided by Britain and the United States to carry aid from the UN High Commissioner for Refugees in the next few days. In Pakistan, the Turkish prime minister made a record pledge Friday to a faltering relief effort for the 3.3 million people who have been left homeless as survivors in distant mountains scrambled for aid before the harsh Himalayan winter closes in. The prime minister, Recep Tayyip Erdogan, offered $150 million in cash and aid, making Turkey the biggest single donor nation. On Thursday, the UN warned that it had so far funded only about a quarter of its urgent appeal for aid. 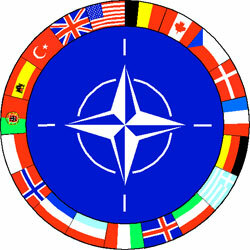 Central to the NATO plan is the deployment of engineers and commanders from the alliance's elite NATO Response Force. NATO officials said it would mark the largest operation for the force, which has been used to help protect elections last year in Afghanistan, guard the Athens Olympics and coordinate an airlift of European aid to the United States after Hurricane Katrina. NATO is running an airlift of aid to UN High Commissioner for Refugees in the next few days." Turkey, by its generosity, is setting a good example to lead the Europeans in helping out, which should bode well for their EU ambitions that are being hotly debated in Europe. The Financial Times is reporting the NATO decision came after Jan Egeland from the United Nations made a personal request for more assistance. A long winter is approaching, and many more victims may die if more help into the remote areas is not forthcoming. "However, Nato continues to experience problems in supplying helicopters to distribute aid to those most in need. Forty of the 100 Pakistani and foreign helicopters in the country are from Nato. Efforts to secure more have resulted only in commitments from Germany for four more." If the governments that supply NATO cannot find working helicopters and the heavy-lift equipment to transport them, it doesn't speak well for nations that depend on European guarantees for their protection. Update: IntelliBriefs questions the ability of the Pakistanis to use the relief wisely here. While I agree that corruption in Pakistan is a major issue, worse than India's that DEL wrote about in the post prior, cancelling weapons systems is not the answer. Nations need to provide for their defense to a reasonable level. I would think that Pakistan moving towards democratic rule would reduce corruption and increase its economic ability to deal with this disaster. That is good news for a number of reasons. And I'm shocked by the size of Turkey's help ... amazing!